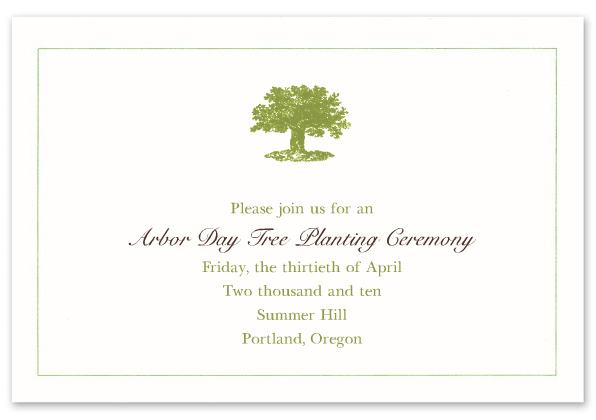 Today happens to be Arbor Day - a national holiday in which trees are celebrated, planted and cared for. Arbor Day was first celebrated in 1872, and has since been observed on the last Friday in April. I encourage you to step outside today and plant a tree of your own - whether it be in your backyard, or planted in a park along with a group of friends. Dedicate your tree to someone you know, or a place you love. Each year on Arbor Day, plan to visit your tree and check on its progress. 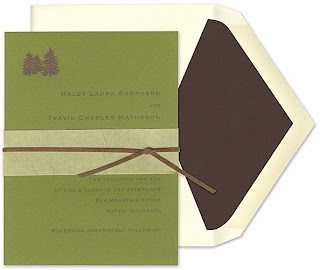 FineStationery.com is proud to offer a beautiful selection of tree inspired stationery and invitations. 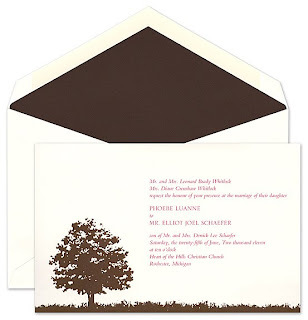 We also honor Crane & Co. for their use of recovered tree-free fibers to make 100% cotton papers. 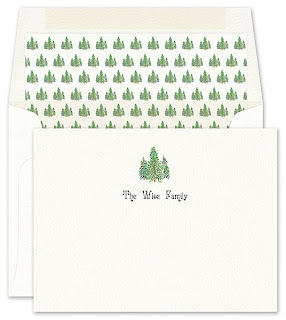 Since 1801, this stationer has been creating environmentally friendly products.